Pulp washing processing is the essential process in paper pulp production. Pulp washing is the separation of the slurry and black liquor, so that washed out alkali lignin and other impurities from the reaction in the cooking processing, and purify the pulp, which is helpful for filtration and bleaching. 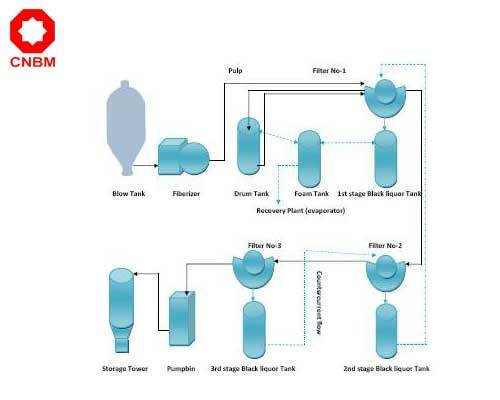 Extract waste liquor with higher concentration and temperature while washing pulp thoroughly, and sent to the wastewater disposals for recovering the organic or inorganic matter in the waste liquid in the acid and alkali recovery process. So the pulp is suitable for the next processing. 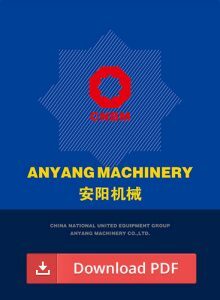 As for the way of pulp washing processing, including single-stage washing, multi-stage washing, and multi-stage countercurrent washing. Multi-stage countercurrent washing is the ideal way. About 50% of the raw material of the plant fiber is dissolved in the cooking liquor to form pulping waste liquor. Unwashed pulp, most of the waste liquid exists in the free state of the flow space between the fibers (about 70-80% of the total amount of liquid). Some waste liquor exists in the channel of fiber cell (About 15-20% of the total amount of liquid). Only small part of the waste liquor exists in the hole of fiber wall (about 5% of the total amount of liquid). 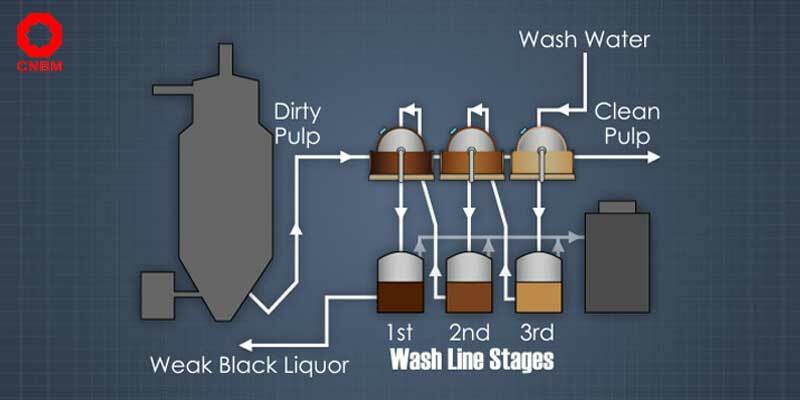 Therefore, pulp washing is actually a process of filtration, diffusion, and extrusion. Filtration and diffusion are two inseparable parts. Filtration: By certain filter media, such as filters, porous materials, etc., to achieve the effective separation of waste liquid and pulp fiber under a certain pressure. Diffusion: The waste liquid present in the pulp is separated by mechanical pressing. Extrusion: In the case of there is a concentration difference in the pulp liquid system, the dissolved substance in the waste liquid has a property of migrating from a high concentration region to a low concentration region. Finally, the waste in the pulp can be separated and extracted. Our company can provide vacuum drum washer, single-screw press, twin-roll press, disc vacuum filter and gravity disc concentrator and other equipment, complete model, custom products according to your request. To control liquid level of the quality pulp in vibration screen, avoid bad pulp to be mixed with quality pulp. At the same time, control large debris, absolutely dry wood into the quality pulp, in order to avoid damage to the net. The horizontal belt should strictly control the pulp concentration, reduce the black edge. To master the relationship among water spray quantity, speed, vacuum pump, pulp thickness. And ensure the quality of pulp washing. Control each waterline, so that the waterline closes to next water section, to ensure that the horizontal belt does not have vacuum leak vacuum. Control the washing water temperature at 60 – 70 ℃.